You can visit the Submarine Fenian Ram and John Holland's first submarine at the Paterson Museum in Paterson, NJ. The Fenian Ram is the first practical submarine, in that it was able to run on its own power using its 2 cylinder Brayton oil engine and dive and submerge successfully. This sub was actually commissioned by the Irish Fenian Brotherhood, an anti-British Irish group that planned to use it to sink British shipping in an effort to get the Brits out of Ireland. 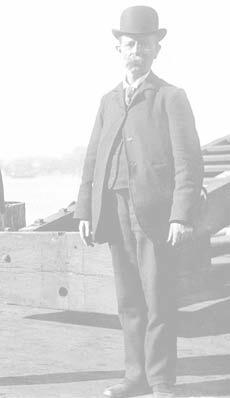 John Holland was happy to take their cash as it funded his research on the development of an even more practical submarine. Holland actually got the sub to the point were it would run at about 9 knots surfaced. Submerged the sub had a limited running capability as it ran on the air from the crew's compartment. Once submerged the hull was pressurized to the same level as the surrounding water. If they did not do this the back pressure from the water outside the hull would prevent the Brayton engine from starting and running. As you could imagine this was not the most practical solution and John Holland planned to install a dedicated compressed air reservoir to feed air to the engine while running submerged. The Fenian Ram's weapon was a pneumatic gun, which would shoot a projectile out of a muzzle in the bow. Initially there were serious problems with the gun as the projectile would take a sharp turn upwards and leap out of the water. John Holland solved this by drilling a hole near the muzzle of the barrel that would allow the charge of compressed air behind the projectile to vent through the hole preventing the column of air from kicking the bottom of the projectile down and shooting it up. At one point during the submarine's ongoing development there was a dispute about money with the Fenians, and late one night the Fenians stole the sub and towed it to Connecticut. The Fenians were never able to get it working themselves and Holland would not help them so from there it sat in a warehouse. If you've done some research on this sub you may have seen passages stating the Brayton Piston Engine was removed to power a mill. That is not true. The Brayton engine is still there, but the air compressor is missing. The sub is a neat exhibit and a remarkable feat of engineering considering that time in history. The sub is certainly a lot more impressive and well preserved inside the Museum than out in Passaic Park. The Paterson Museum staff have done a great job of both preserving and displaying this historic vessel. An even earlier submarine that pre-dates the Fenian Ram is the Intelligent Whale, which is also in New Jersey is now stored safely indoors at the National Guard base in Sea Girt. This submarine had no engine and was hand cranked by up to 4 crew members a a time. It is thought that the Intelligent Whale was John Holland's inspiration to get into building submersibles. To get an idea of how far the development of submersible craft has come, pay a visit to the USS Nautilus Submarine Museum. It is light years ahead of this craft in design and function, and yet even the Nautilus is already obsolete, now retired to its role as a museum boat. 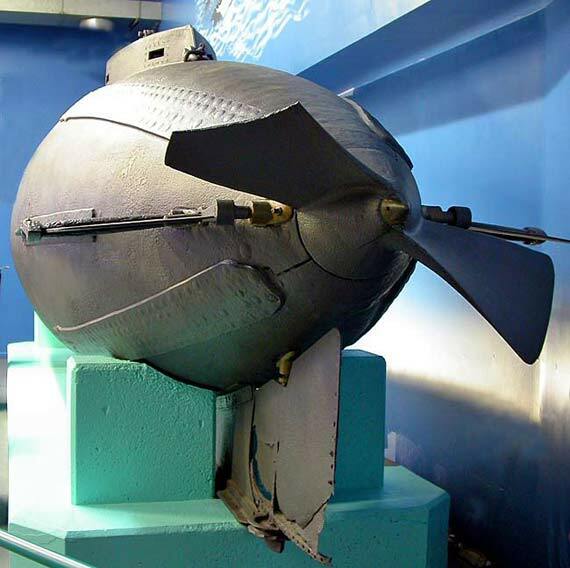 Another Submarine Museum In Massachusetts is the USS Lionfish in Fall River, MA. It is a WWII Fleet sub where you can tour by yourself the sub's interior compartments.